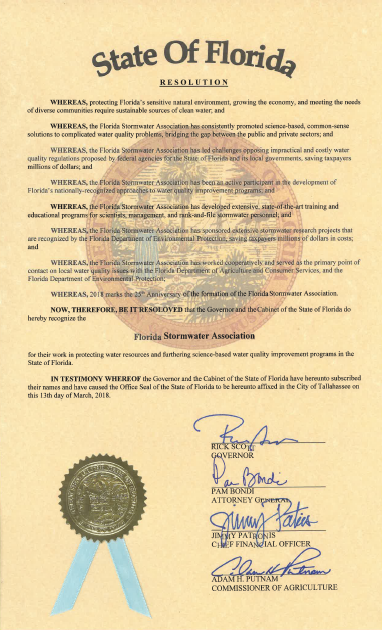 Served as the primary voice of local water quality programs in front of the Florida Legislature and state agencies. Helped write and pass legislation in 2005 (SB 444) implementing Florida’s TMDL program and provided over $120 million in funding for water projects. Published the manual on Implementing TMDLs in Florida (in cooperation with FDEP) that was distributed to all local officials statewide. Helped negotiate, write and pass legislation in 2013 (SB 1808) implementing Florida’s Numeric Nutrient Criteria program, codifying the agreement reached between EPA and FDEP. Helped preserve the ability of cities and counties to implement source control measures (e.g. fertilizer use ordinances) to protect water quality in the most cost-effective and efficient manner. Provided easy-to-understand legislative updates during each Session and summaries of passed legislation to members via webinar at no charge. Served on numerous policy and technical advisory committees representing stormwater interests including: the Impaired Waters Technical Advisory Committee, the TMDL Allocation Technical Advisory Committee, the Water Quality Credit Trading Policy Advisory Committee, and the Waterbody Reclassification Policy Advisory Committee. Developed the FSA FastTracks e-newsletter from a single printed page mailer for member organizations into an online resource sent electronically to each member’s desktop 10 times a year. 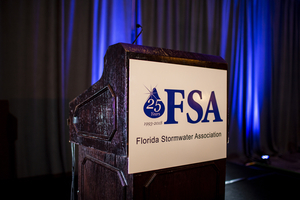 Continuously updated and improved www.florida-stormwater.org - a dynamic and robust resource for FSA members. Hosted 50+ statewide Conferences throughout Florida training over 10,000 attendees. Created the Fogarty Training Center in 2007. Held over 250 seminars, webinars and Stormwater Operator certification courses attended by over 6,000 stormwater staff. Stormwater Operator classes are recognized by FDEP as fulfilling the training and refresher training requirements of MS4 permits for stormwater staff. Awarded over $26,000 in scholarships to Florida graduate students studying water quality or stormwater science, engineering or finance. Partnered with the City of Gainesville in their appeal to the Florida Supreme Court that upheld the validity of their stormwater utility fee. The first association of local governments (in 2009) to intervene in the federal litigation on Numeric Nutrient Criteria. Led the national litigation on behalf of local governments challenging the 2015 Waters of the United States (WOTUS) rules. Filed numerous “Friend of the Court” briefs in state and federal appellate courts (including the U.S. Supreme Court) supporting the interests of local stormwater programs. Grew from a group of six local governments in 1993 to 315+ organizational members - including cities, counties, corporations, WMD’s, special districts and academic institutions – and a database of over 5,000 people. Recognized 45+ cities and counties with Awards for Excellence and Outstanding Achievement in stormwater programs or projects. Conducted the statewide Survey of Stormwater Utilities and published its results every two years since 1995. Published the manual “Establishing a Stormwater Utility in Florida” in 1998, assisting countless cities/counties in funding stormwater programs. Copies were provided to the city/county manager, engineer and Mayor/Chair of every local government in Florida. Updated the Manual in 2003 and in 2013. Created the FSA Educational Foundation in 2005, a parallel organization providing stormwater research and scholarship services. 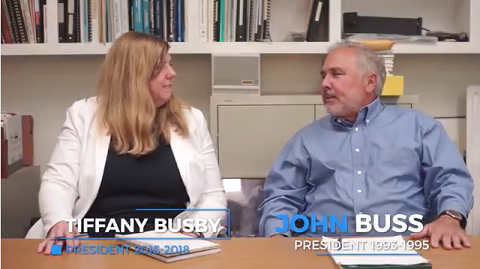 Raised $225,000 in 2008 to fund the “MS4 Assessment Tool” project, quantifying the load reduction values of common MS4 maintenance activities and providing local governments with credits in the BMAP process worth millions of dollars. Successfully sought funding for Part II of the MS4 Assessment Tool from FDEP in 2017-18 to update the load reduction values of maintenance activities in areas served by reclaimed water.